(CNN) – The Iwo Jima memorial sits along the water in Fall River. Its presence, dominating. Someone within the last week took something very special. Surrounded by bricks with the names of donors who support the memorial there is a plexiglass box. Now, broken open and empty. 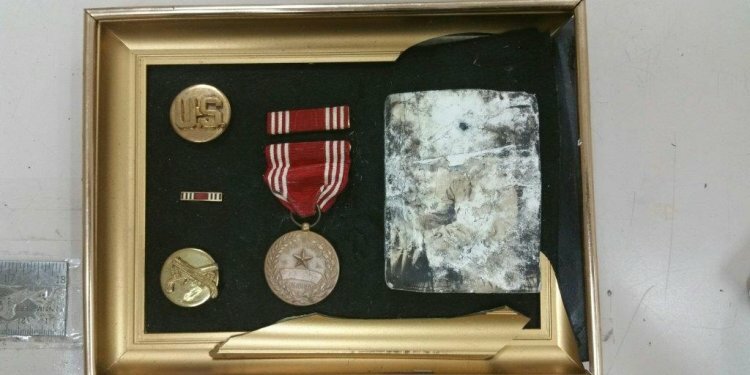 It used to hold a purple heart, and a vial of sand from Iwo Jima. Bruce Aldrich helps maintain the memorial. Once a month he climbs up to inspect the lights. It didn’t take long after word spread about the missing purple heart for another recipient to offer his as a replacement.